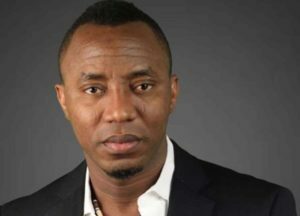 As the February 16 Presidential election inches closer, Presidential candidate of the African Action Congress, AAC, Omoyele Sowore, has called on Nigerians to vote out analog leaders without the capacity to process data, saying data processing challenge is one of the problems hindering development in the country. Sowore stated this while fielding questions at a Presidential interactive session in Abuja tagged “The People’s Debate.” Organised by a Civil Society Organization, Enough is Enough, EIE in collaboration with Television Continent, TVC, the debate featured five other candidates made up of Kingsley Moghaluof the Young Progressive Party, YPP; Donald Duke of the Social Democratic Party, SDP, Tope Fasua of the Abundant Nigeria Renewal Party, ANRP; Fela Durotoye of the Alliance for New Nigeria, ANN and Sani Yabagi Yusuf of the Action Democratic Party, ADP. “There is data everywhere but our analog leaders don’t know how to process data. My government will right the wrongs,” he said even as he called on Nigerians to support his quest for the highest office. He bemoaned the long years of political decay saying since independence in 1960, the national leaders have not done what was expected of them. On his part, Moghalu pledged to announce his cabinet within 48 hours of his inauguration stressing that for the first time, ministerial designates would have portfolio attached to them, to enable Senators to drill them appropriately. Moghalu, a former Deputy Governor of the Central Bank of Nigeria, CBN, tasked Nigerians not to make the mistake of 2015, stating that more than anything else, the electorate should deemphasize the fault lines that have brought the nation down on its knees. Many nations that once faced similar developmental challenges like Nigeria, he said have moved on, adding that 2019 offers a unique opportunity to change the narrative. “Too many Nigerians still don’t have the basic necessities of life. Malaysia, Singapore, China were once backward but they have moved on. In 2015, it was anyone but Jonathan; let 2019 not be anyone but Buhari. It is time to elect a capable leader to harness the creative potentials of Nigerians,” he noted. He also blamed the nation’s slow pace of development to what he called a lack of economic philosophy. “Nigeria has no clear economic philosophy and without one, we can’t move forward as a nation. Is Nigeria a capitalist nation? If yes, what makes capitalism work for the common man on the street. I will work for the abolition of the land use act as a constitutional issue,” he added. For Duke, access to capital is key even as he lamented the high-interest rate in the country in the past few years. Durotoye, on joblessness in the country, blamed those who have been in power since the return to democratic governance in 1999. Yabagi while fielding question on how he would tackle restiveness if elected said the welfare of the people would be prioritized. According to him, “We will address the issue of stomach infrastructure because it is very important. The missing link between Nigeria and greatness is leadership. We have a goldmine but it is being stolen. Corruption is the issue, if you can address it, investment will come into the country,” he stressed. 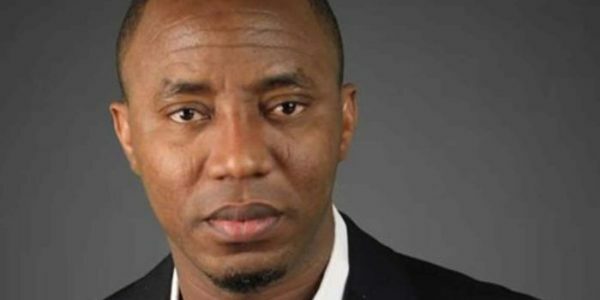 As it happened a few weeks ago, the candidates of the All Progressives Congress, APC and the Peoples Democratic Party, PDP, President Muhammadu Buhari, and Atiku Abubakar respectively were absent at the debate; a development Durotoye jokingly linked to their unpreparedness to face the tough questions.